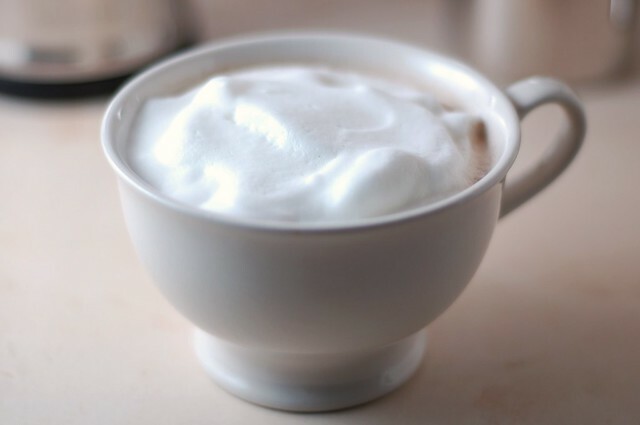 I've added a wonderful, new improvement to my Frieling-brewed morning coffee - foamed milk courtesy of Nessy, my lovely, new Nespresso milk frother . 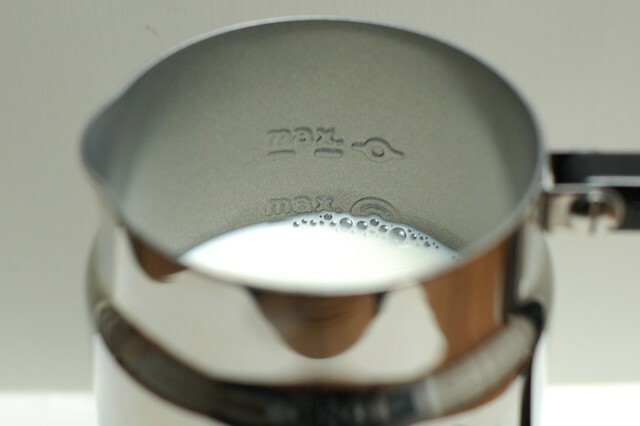 After experiencing the joys of the milk frother first-hand at our friends, Phoebe and Craig's house this fall, I decided that I needed one. I did some research and found that although the Nespresso Aeroccino is not the cheapest option out there, it seems to be the best one. So I ordered one on Amazon for about $85 and have never looked back. 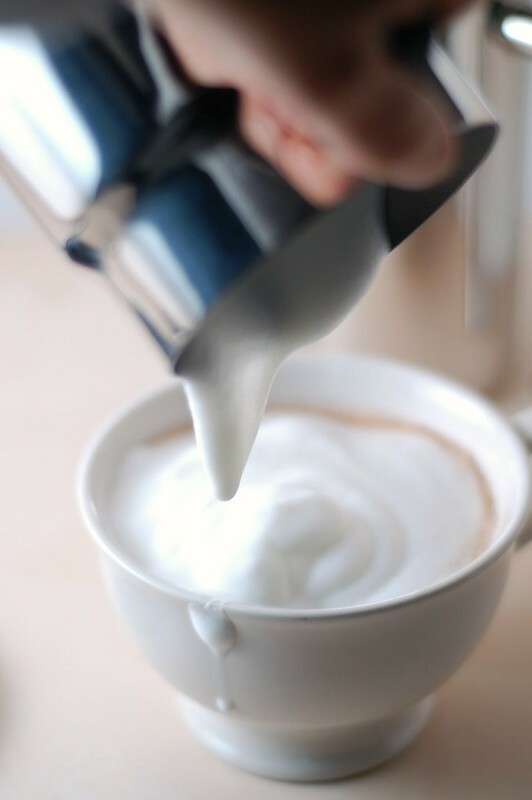 The Nespresso is a nice little gadget that makes hot and cold foamed milk as well as just plain warm milk for lattes. It's fast, quiet and easy to clean. You have to wash it by hand but that's okay with me since I need to use it every morning and do not run the dishwasher quite that often anyway. 2. When it comes to frothing, all milks are not created equal. I've found that anything that's not homogenized (meaning the cream has risen to the top) will not froth well. My top choice is Organic Valley - both because I trust their practices (more on which milk companies are best for you, the cows and the planet here) and because their milk foams up real nice-like. If you do not do dairy, do not despair - you can still get foam! The one brand to avoid appears to be Silk which apparently does not froth at all. But people report that you can get great froth from Pacific's soy milk blenders and their almond milk blenders as well as from Westsoy organic soy milk. From the Internet chatter on this topic, it seems like Starbucks uses Pacific's milks for their cappuccinos and they've probably done their homework. Let me know if you've got any java-enhancing tricks up your sleeve that I should know about. Please note: some of the links above are affiliate links which means that I'll earn a small commission if you buy something through them. No one is paying me to write this post and the opinions are all my own based on my own experience. If you have any questions about this, feel free to ask me. Hi Eve! Oh, this frother looks lovely. I've debated over the years whether to get one or not. I don't, or very rarely, drink milk, though. 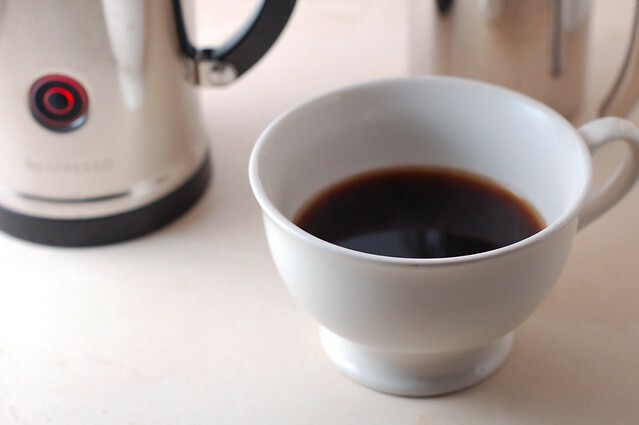 I use soy milk in my coffee, and it doesn't sound like the Nespresso works very well with non-dairy substitutes. 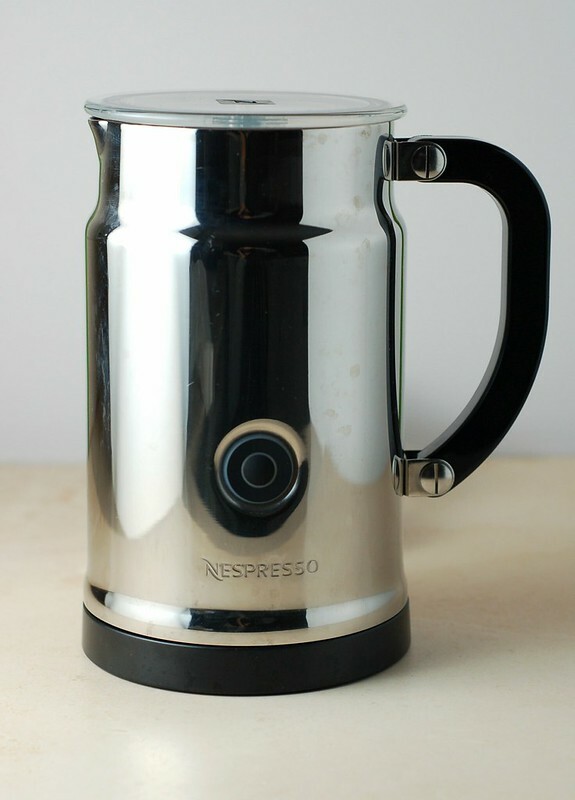 By the way, something I've wanted to ask you, and maybe there's a post in the archive you could point me to, what do you use for making espresso? Thanks for all the great posts. I hope you and your family have a most wonderful and joy-filled holiday. It really is lovely - an indulgence I am so glad I splurged on as my coffee is yummy enough that I do not even miss the sugar or maple syrup I used to put in it and that is saying a lot for me. I have not personally tried soy milk but have read that some brands froth up just fine while others do not. From what I've read, Westsoy organic unsweetened soy milk froths like a dream but Silk soy milk does not froth at all. If you want to get a more definitive answer on this, though, my rec would be to ask at a Starbucks or other coffee place to find out what brand of soy milk they use.